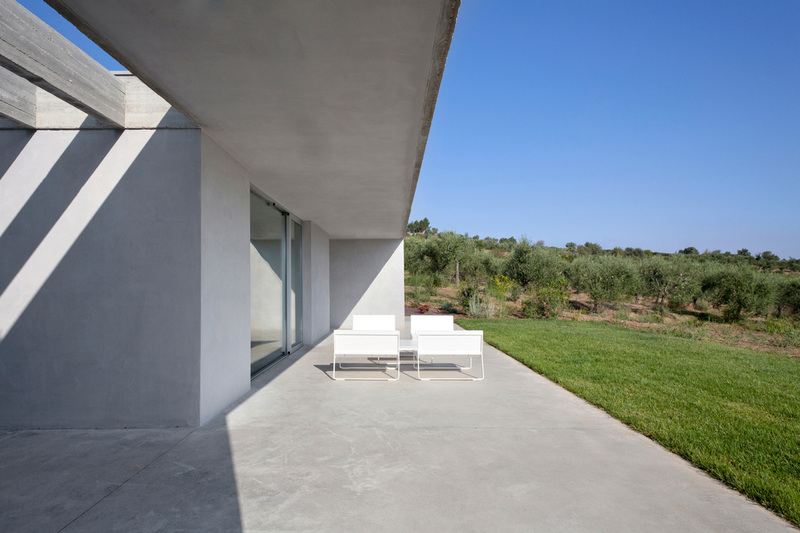 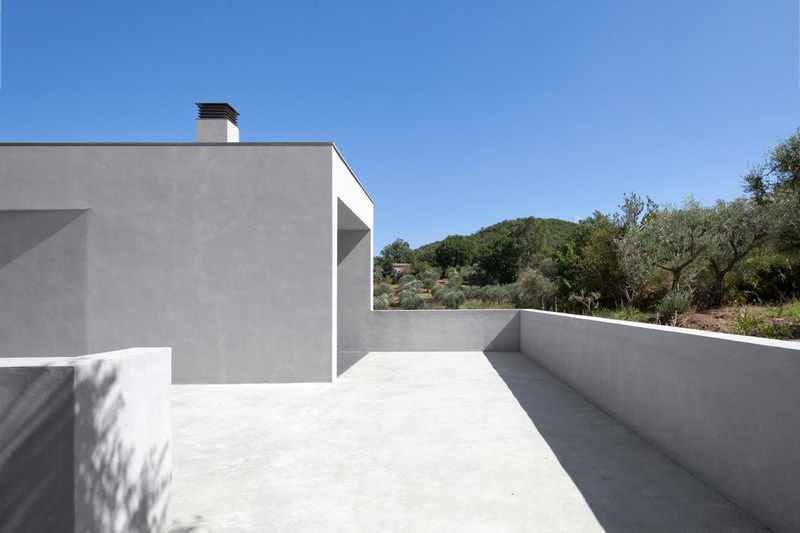 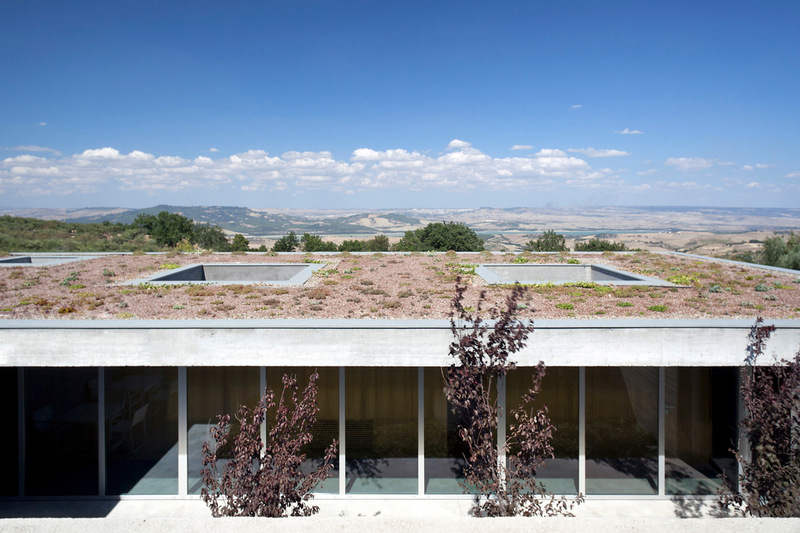 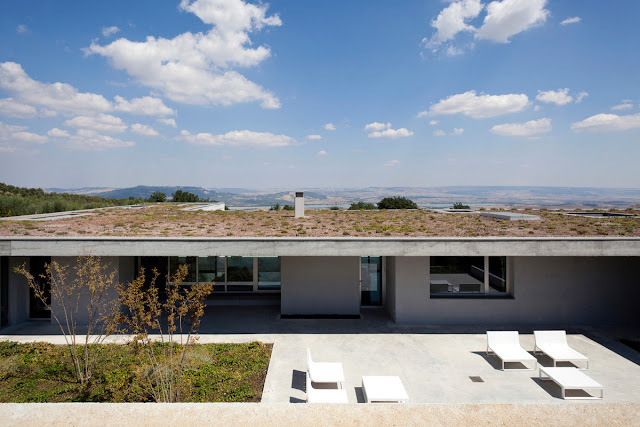 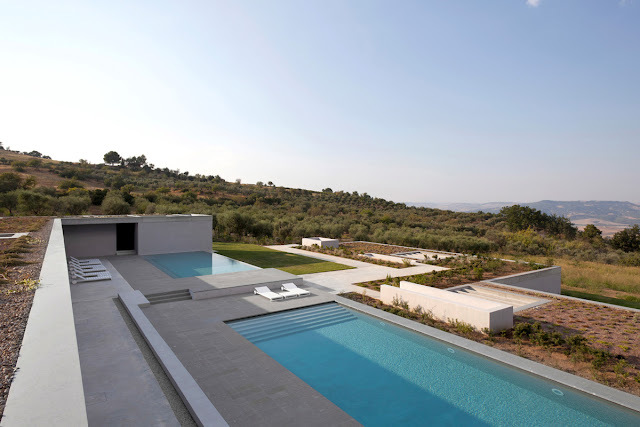 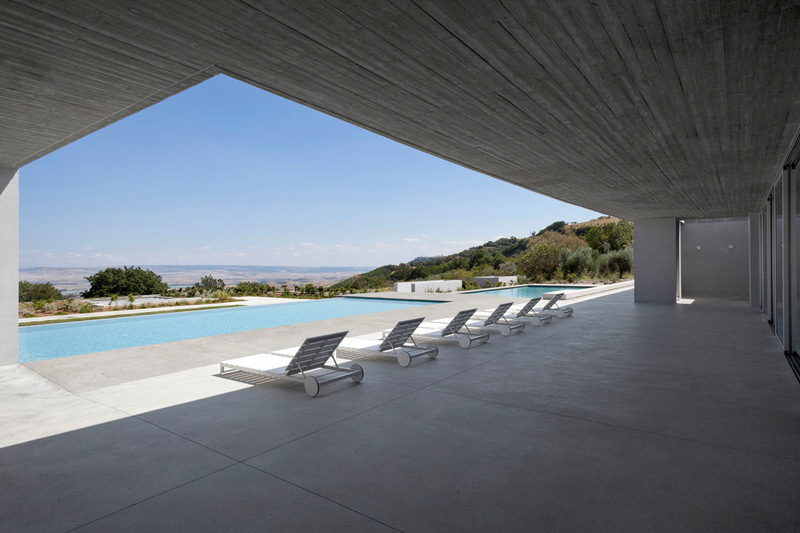 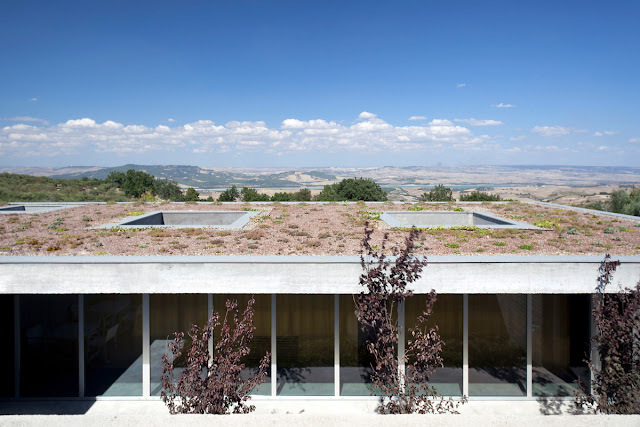 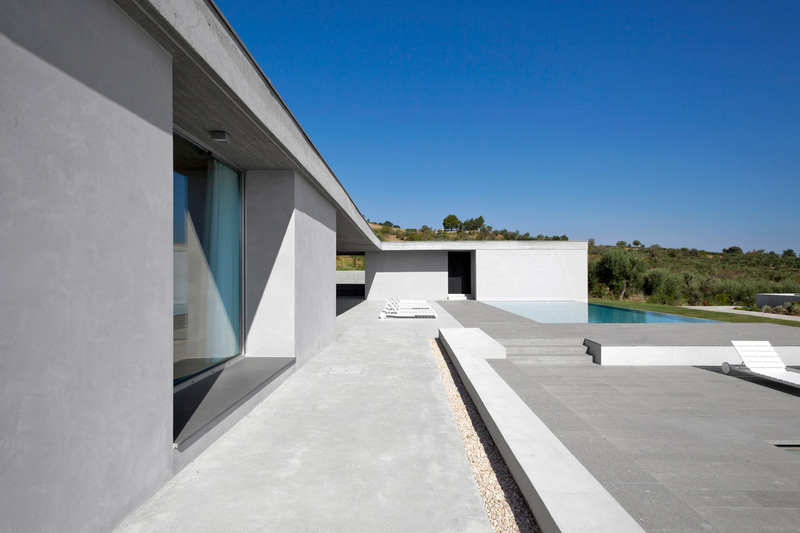 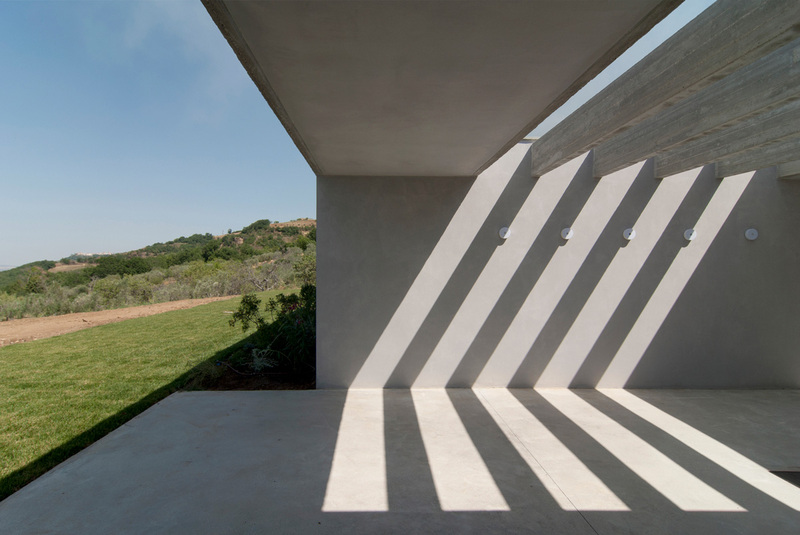 Italian architects OSA architettura e paesaggio designed a house in Basilicata, Italy that follows the site’s slope and merges with the surrounding land, creating a timeless architecture in the rural landscape. 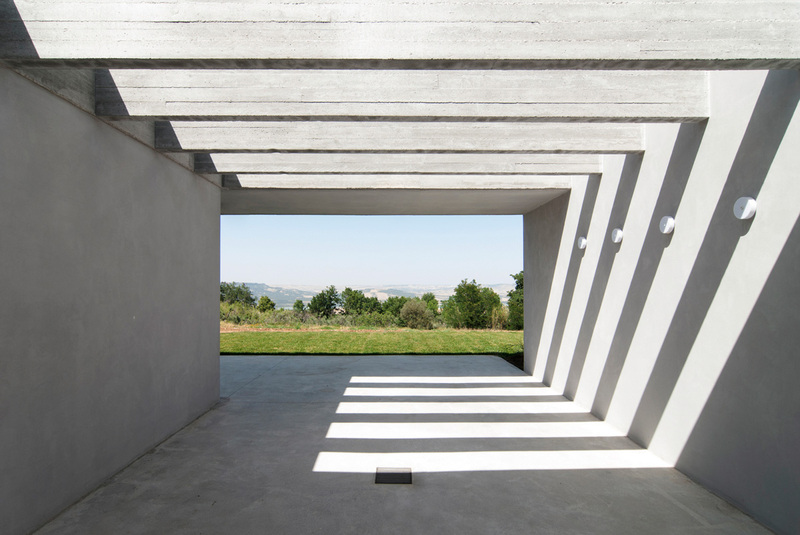 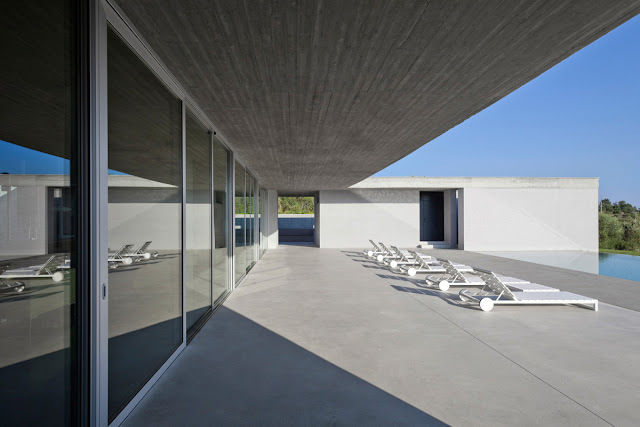 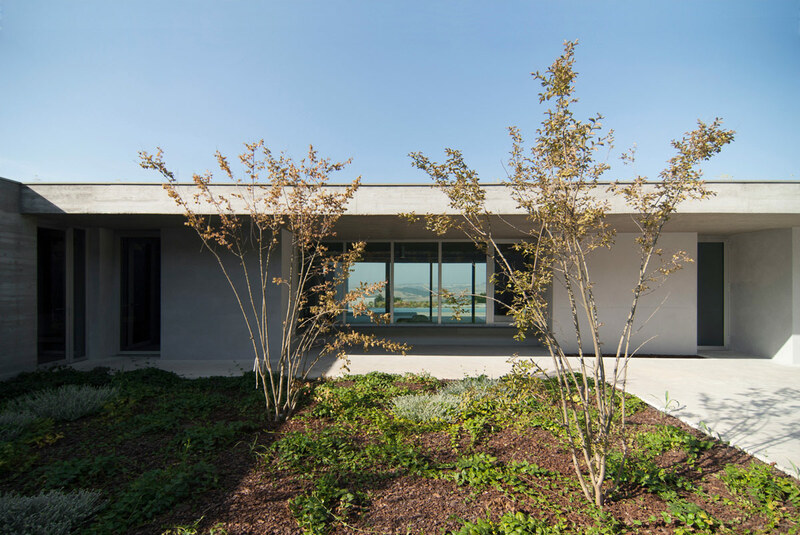 “The house is situated along the north-eastern slope of a hill that separates the Bradano and Basento rivers and slopes gently down to the lake of S. Giuliano covering a total area of 630 sqm on a plot of 7 hectares. 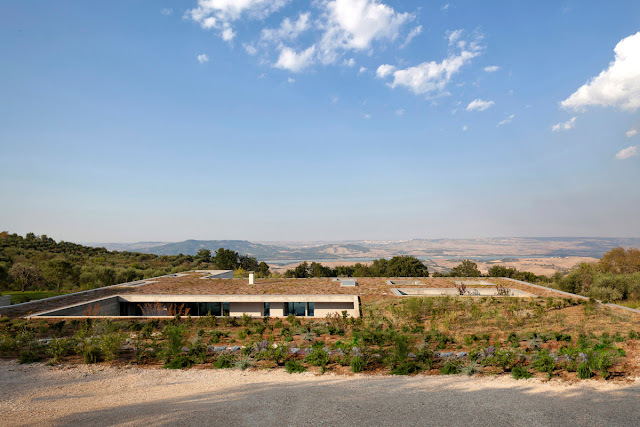 The quality of the context suggested the idea of preserving the orographic profile with volumes above ground following the natural contour of the slope, creating a timeless architecture in the rural landscape. 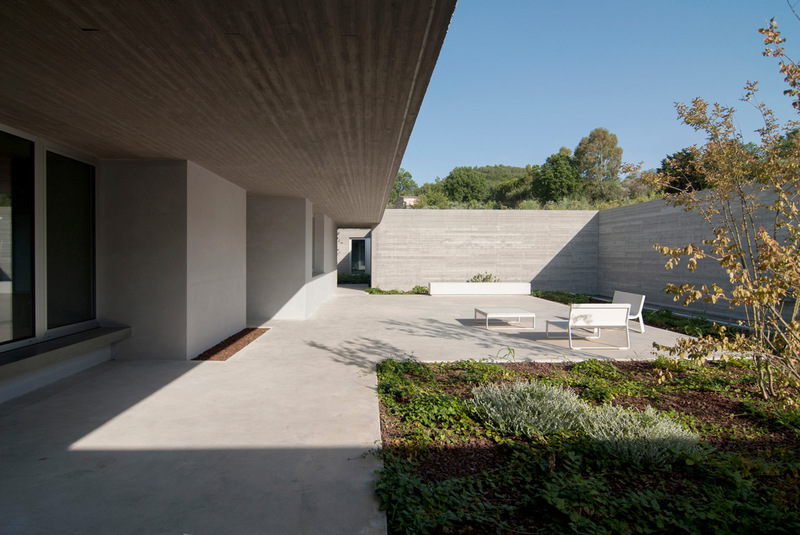 The site plan consists of a sequence of terraced areas and courtyards, in a spatial continuum between internal and external spaces. 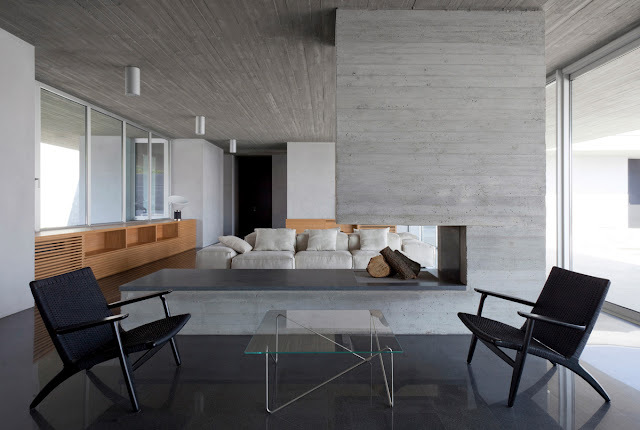 In the downhill terracing area two accommodations for guests are placed. 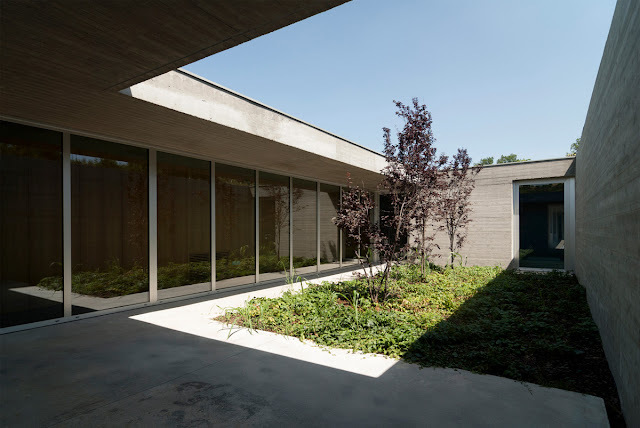 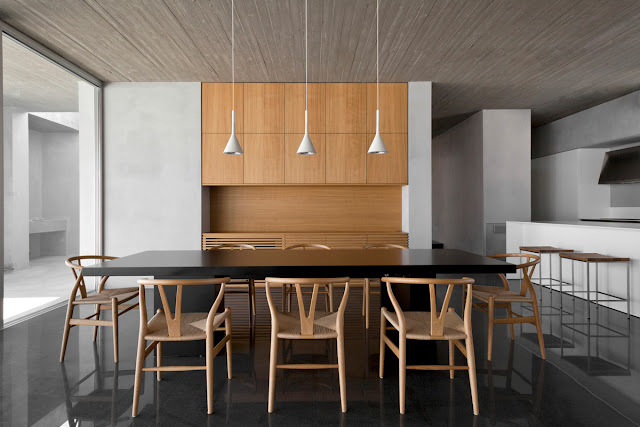 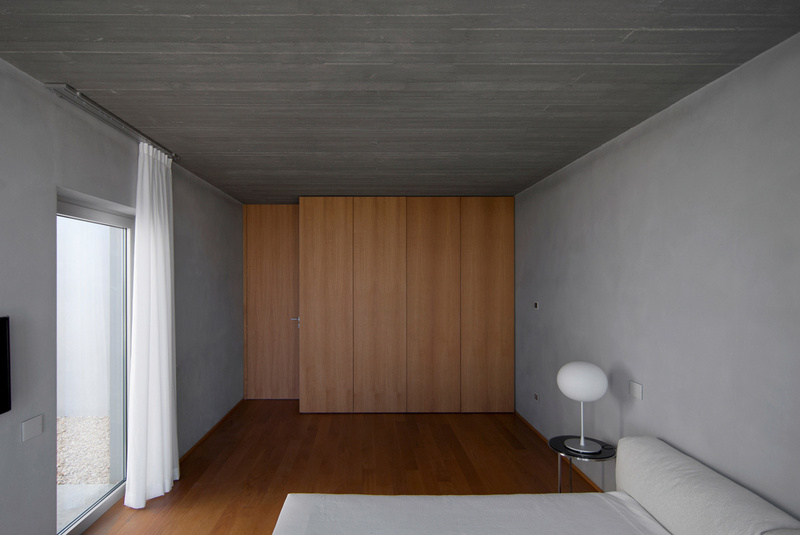 The strict geometries of the plant give rise to warm, inner domestic spaces; the volumes of services (bathrooms, storerooms, kitchen, laundry) define the rooms of the house that are arranged in succession along a linear path. All rooms enjoy a panoramic view over the lake below. 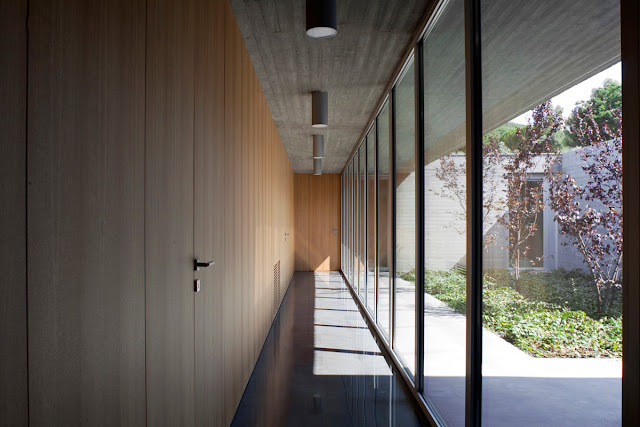 The distribution spaces are articulated in the rear area, mediating the relationship with the courtyards. 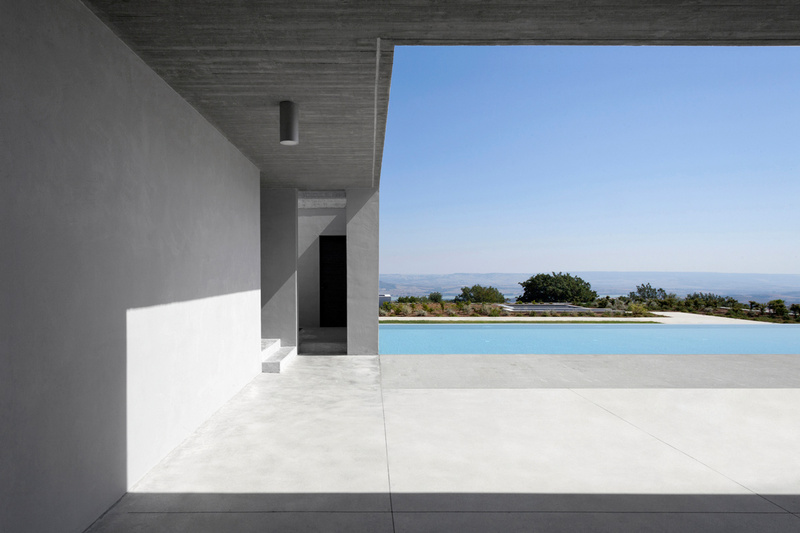 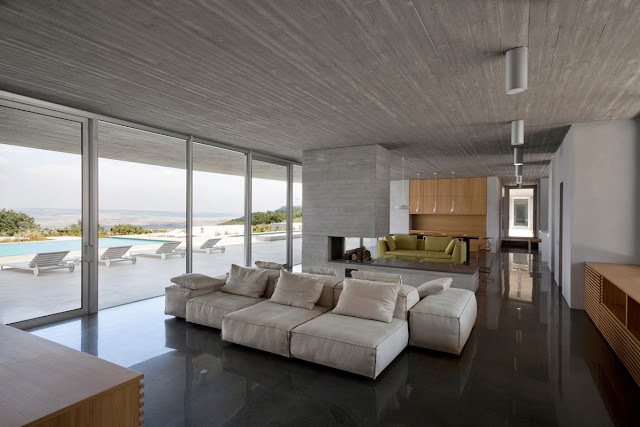 Wide windows frame the landscape alternating with blind walls. The concrete roof, ostentatiously exhibited soffit, rests on "bearing boxes" and serves as ordering element in the changing and articulated perspectives. 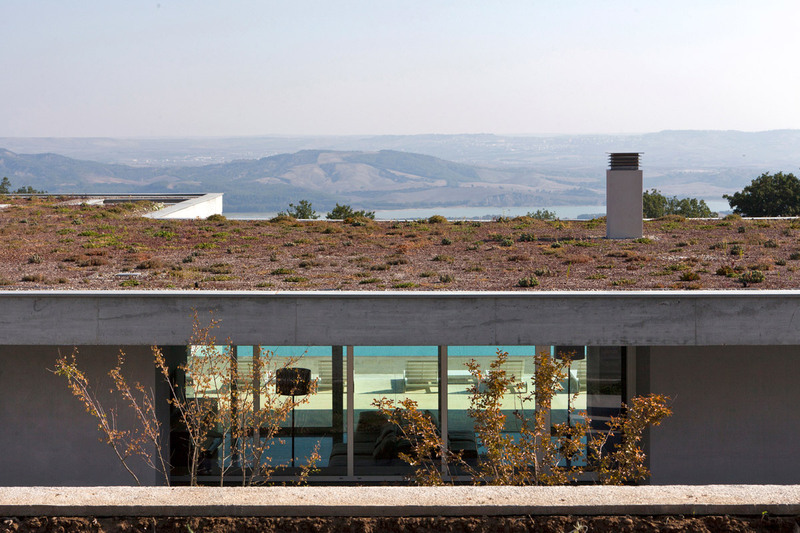 The vegetation that covers it merges with the surrounding land reducing the visual impact until it is completely cancelled in the view from the top.